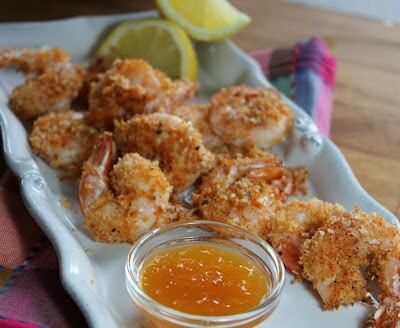 Crunchy Oven Fried Shrimp with Spicy Peachy sauce! I can’t get enough of them! I will make the peach sauce over and over again, I can already taste it with salmon and turkey burgers and pork chops and chicken and fish and…well you get the point. It’s yummy! The sauce is so simple, it is made out of peach preserves, ground ginger, honey and hot sauce…nuke it a minute and instant dip! 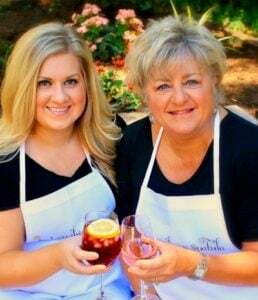 You can even use sugar free preserves and get amazing results. The shrimp are also very low in calorie, so make tons and double your batch of the peachy sauce to go with everything you are cooking this week! 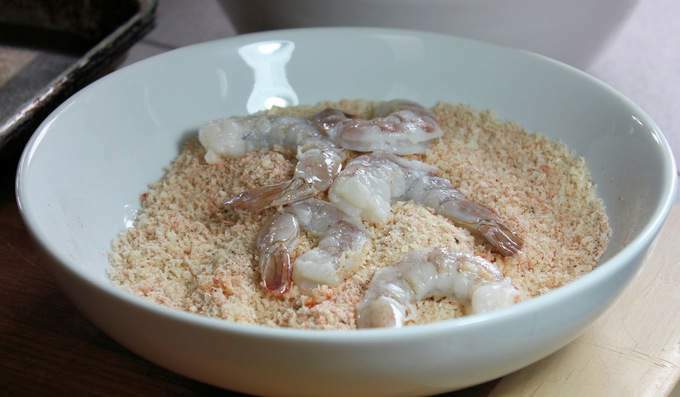 1 pound raw shrimp (75-100 count) Thawed if frozen and patted dry. 1-2 teaspoons hot sauce (I use Tapitio but good old Tabasco will do) Adjust for your taste. Spray baking sheet well, with cooking spray. Beat eggs in shallow dish. 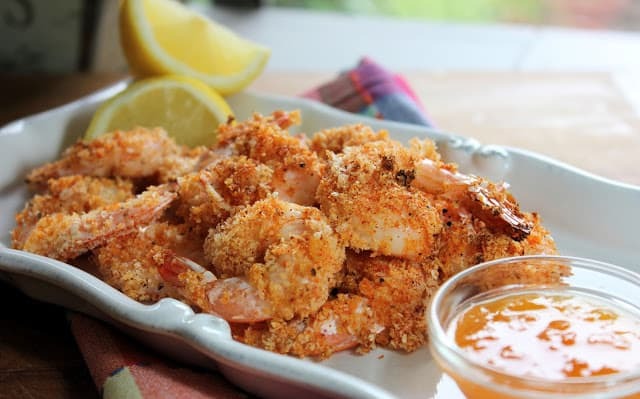 Mix Panko crumbs and regular bread crumbs along with garlic powder, paprika, salt and pepper in a shallow dish. Place all of shrimp in egg, toss to coat. 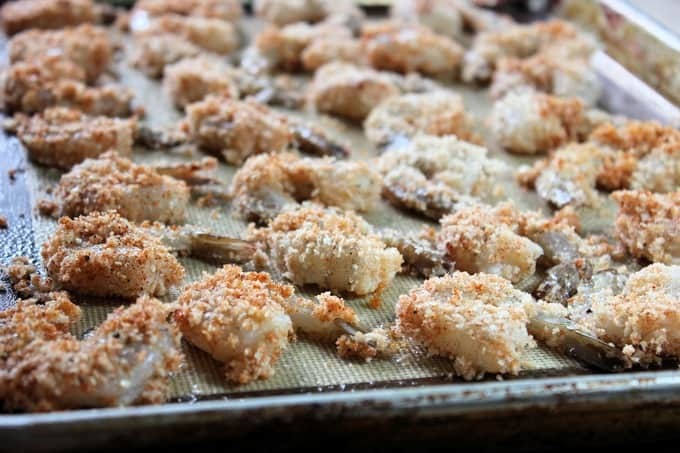 Remove 4-6 shrimp at a time from egg mixture, coat in crumb mixture. (coating more than a few at a time will gunk up your crumbs…and you don’t want your crumbs gunked do ya?) Press shrimp into crumbs to get a good coating, and place on baking sheet. Spray tops of shrimp with additional cooking spray. While shrimp are cooking, mix all ingredients for Peachy Sauce. Microwave on high for 30 seconds, stir and microwave for an additional 30 seconds and whisk until smooth.